This team will report to Colonel Kenneth M. DeTreux, USMC, Commandant of Cadets at VFMAC. The Lead TAC team is responsible for advising, coaching and guiding the cadets who reside in their barracks as the cadets negotiate their responsibilities, as well as supervising and managing their assigned TAC (Teach, Advise, and Counsel) team. 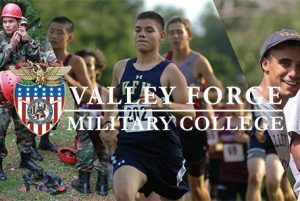 I strongly believe the Lead TAC Officer role is key to every cadet’s success at VFMAC and I am excited for our cadets to have them as mentors and leaders. GSM William Mott, Welsh Guards (Ret.) most recently served as Garrison Sergeant Major, London District where he was the coordinator and organizer of all State Ceremonial Events, including Her Majesty The Queen Mother’s Funeral in 2002 and The Royal Wedding in 2011, among many others. He brings more than 37 years of military service to his role. COL Raymond Bossert, Jr., USA, ’85 brings nearly 30 years of military experience to his new role and most recently served as Chief of NGB J1 Personnel and Manning Policy and Strategy in Arlington, Va. He is a 2014 recipient of The Georgia Minuteman Award, the highest recognition bestowed upon an individual National Guard Association of Georgia member. COL Bossert is a graduate of VFMA, North Georgia College and the U.S. Army War College. LtCol J.J. Rivera, USMCR brings 22 years of military training, with an emphasis on leadership, flight operations, and maintenance, culminating in commanding a squadron of Marines. LtCol Rivera became a Naval Aviator in 1999 and is a graduate of Virginia Military Institute. SgtMaj Charles Anderson, USMC (Ret.) returns to his role as Lead TAC Officer at VFMAC. He brings more than 24 years of active duty service and seven years of experience serving as a Tactical Officer in military boarding schools.